Darjeeling is a small town, which is part of the West Bengal state of India. Although it became part of news headlines recently due to the demand for a separate state for the Gorkha people who are the natives, Darjeeling still remains one of the beautiful and popular tourism attraction in the North East. 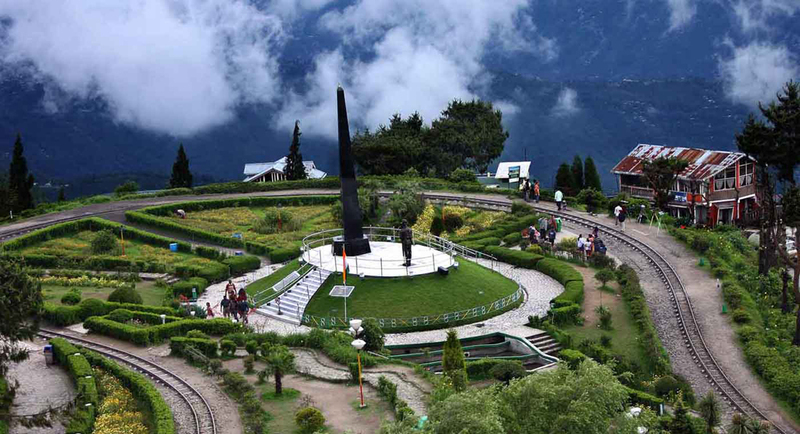 The town is the terminus of the narrow-gauge Darjeeling-Himalayan mountain railway which got completed in 1881. It is popular for its unique black tea with one of the oldest tea plantations. Mt. 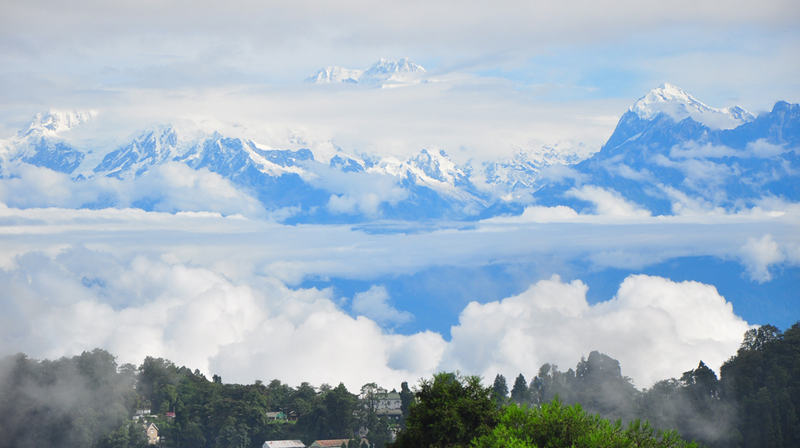 Kanchenjunga, the world’s third highest peak can be seen from most areas of Darjeeling. Some of the must go places in Darjeeling are mentioned here. Tiger Hill is located around 11 KM from Darjeeling town and above Ghoom. It is the highest point in Darjeeling at an altitude of 2590 meters. The beauty of tiger hill is that both the Mount Everest and Mount Kanchenjunga can be seen if you are lucky enough. Though it can be visited any time during daytime, Tiger Hill is most famous for its sunrise. Watching sun rising above from the horizon through the mountains is just magnificent. Most of the Tour packages to darjeeling includes Sunrise from Tiger hill. You will need to start from the Darjeeling town by around 3 30AM in the morning to reach the parking area, There is a short climb to the summit of the hill where the splendid views can be seen. The oldest and the most famous narrow gauge track which is still operational, Darjeeling Himalayan Railway ride is a unique experience. Also known as the ‘Toy Train’ , it runs between New Jalpaiguri and Darjeeling. As per Wikipedia, its elevation level varies from about 100 meters (328 ft) at New Jalpaiguri to about 2,200 meters (7,218 ft) at Darjeeling. 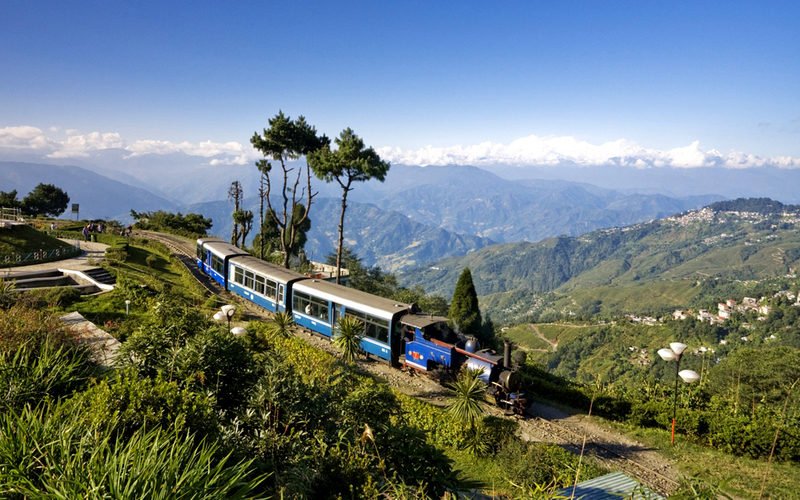 The Darjeeling Himalayan Railway was declared as a World Heritage Site by the UNESCO in 1999. It is a unique experience for the travelers. The Indian railway catering and tourism corporation (IRCTC) is providing online reservation through its site http://www.irctctourism.com/. The prestigious Himalayan Mountaineering Institute (HMI) was founded in the year 1954. 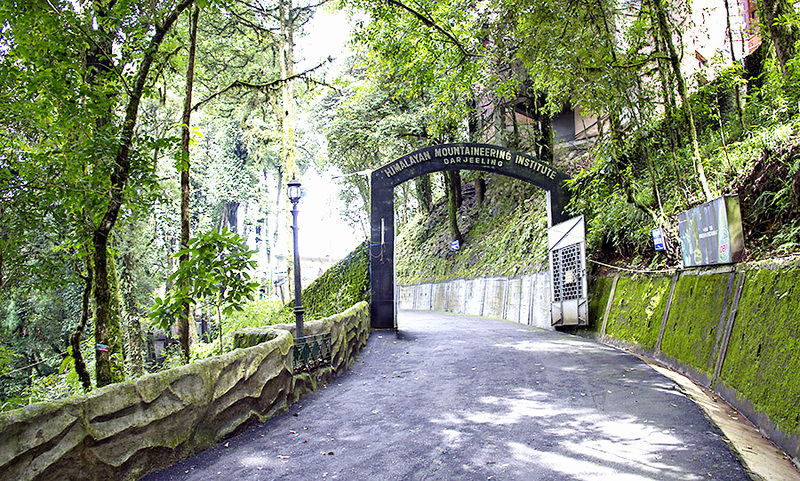 Inside the complex, there is a fascinating museum with the sundry details and memorabilia from the 1922 and 1924 Everest expeditions, which set off from Darjeeling, as well as more recent summit attempts. Tenzing norgay, (also known as Sherpa Tenzing) the man who was known to be the one of the first men to reach the summit of Mount Everest was the director of the HMI for several years. He was cremated in the grounds of HMI and a statue is present on the spot now. The Tibetan Refugee self help centre was started on 1959 after the escape of Dalai Lama. Most of the refugees who escaped from Tibet didn’t bring anything apart from the clothes they wore and little provisions they could take. 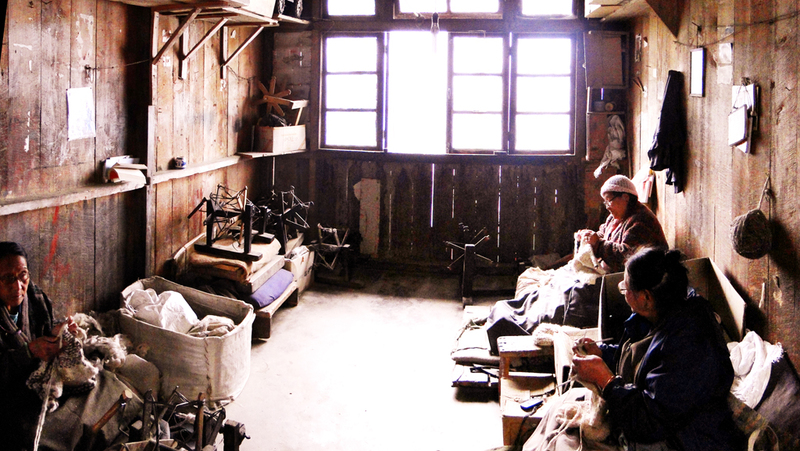 The Tibetan Refugee self help centre was formed to support those families and they earn their living by making handicrafts and training of artisans and craftsman. The centre also has a small museum which gives you detailed information about the Tibetan invasion and how the self help centre flourished. The Batasia Loop is a spiral railway created to bring down the gradient of ascent in the Darjeeling Himalayan railway. It is located 5 Km below the Ghum (Ghoom) railway station which is the topmost station. 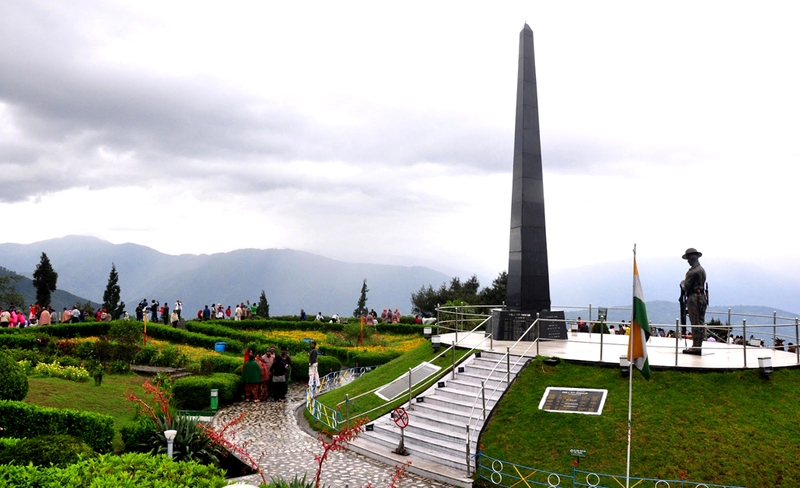 It also has an open air Gorkha War Memorial which is erected in honor of the brave soldiers who laid down their lives in the first and second world war. It is a good place to include in the trip from Tiger Hill after watching the sunrise. This wonderful temple is located around 5 KM from the Darjeeling town. The temple is also known as the Nipponzan Myohoji Buddhist Temple. The two storied white building is built in a traditional Japanese style in the year 1972. The Peace pagoda stands close to the temple. It is the tallest free standing structure in Darjeeling. 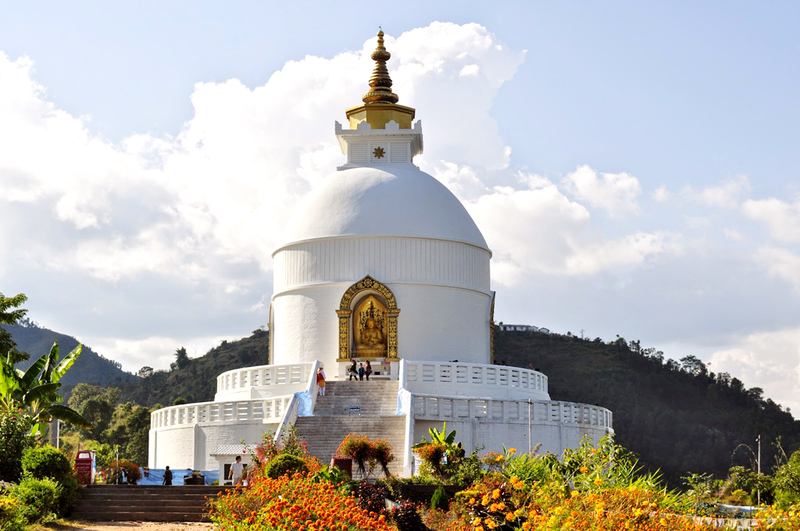 The peace pagoda showcases 4 avatars of Lord Buddha. From top of the pagoda you can see some wonderful views. On a clear day, the snow peaks of Kanchenjunga are clearly visible from there. One of the oldest tea estates, the Happy Valley tea estate was started on the year 1854. 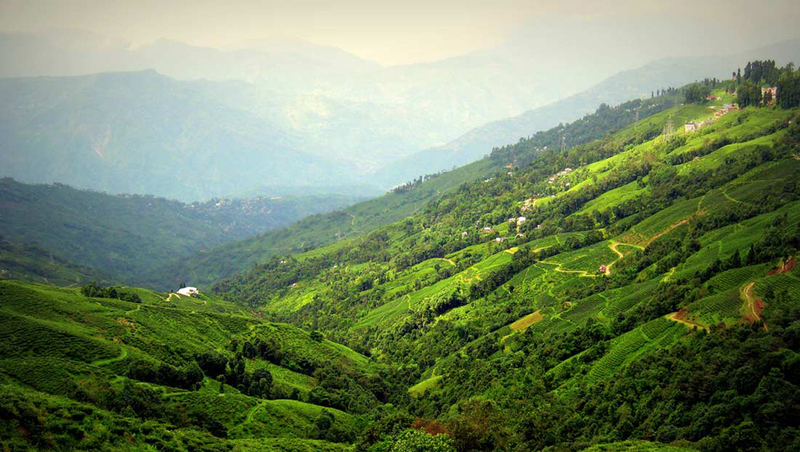 Located at about 3 KM north of the Darjeeling town, this tea estate is the closest one to the town. You can get some quality tea powder from shops around the area. Previous PostWhy Washington Monument has closed again ?